I gave myself a week off from my sugar free eating to properly enjoy my holiday and when I got back, I went out for a last hurrah until Christmastime! 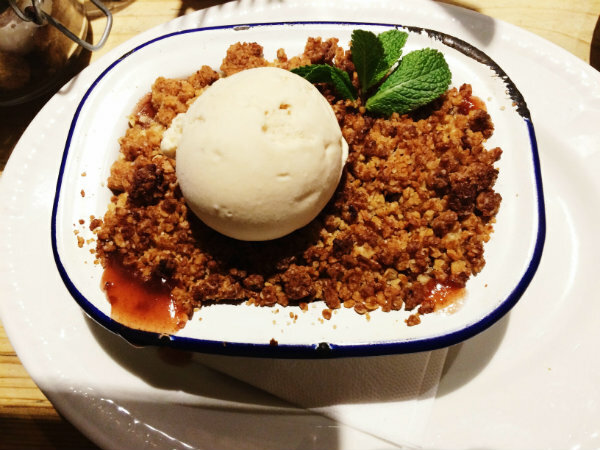 The apple and plum crumble from Bill's was the perfect way to end a sugary week (though my skin didn't thank me too much) and the salted caramel ice-cream was the cherry on top of the cake crumble! I bought these at the beginning of the month as I was looking for some boots to replace a pair I had owned before. I really cannot describe how comfortable these are, even with the heel! I wore them for about 8 miles of walking around Stockholm last week and they were just as comfortable as my trainers. 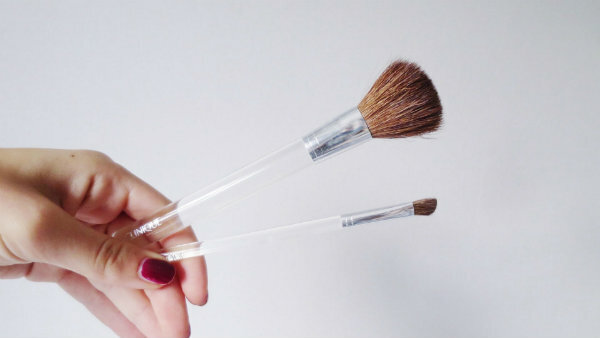 These two Clinique brushes have become a part of my everyday makeup routine. I use the blusher brush for bronzer and they definer brush for my eye makeup. They are really good quality and blend really well, I'll definitely be checking out more from the range. I've been pretty much looking forward to season 2 of Stranger Things since they announced it and couldn't wait to start watching it. I'm rationing the episodes as I watched the first season in two days and I don't want it to be over so soon! 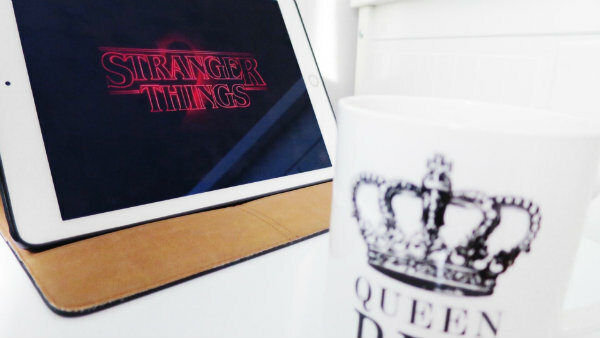 That dessert looks delicious and Stranger things is def. an October favorite for me too! I visited your instagram as well, I am following you. No shame in beginning your Christmas shopping! I'm going to decorate this weekend ;) Love these faves! I'm also starting to like stranger things. Hmm the food looks so delicious! Those boots are a gorgeous colour! I've not seen Stranger Things but everyone seems to love it I'm intrigued! 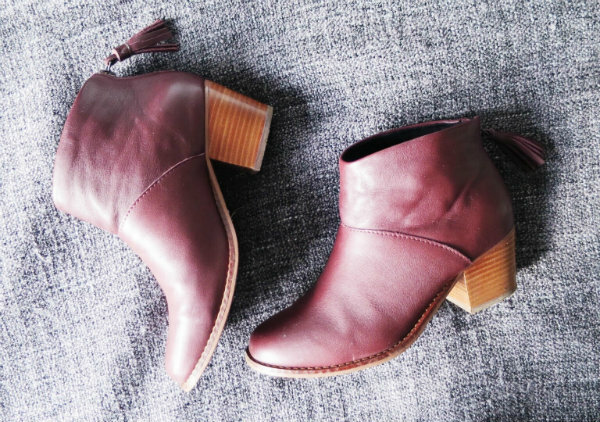 Beautiful boots! Have a great day doll! I really want to start the second season of stranger things! The crumble looks delicious!!! Cool post Rosanna! Loved your October favorites! The salted caramel ice cream looks amazing! The boots are lovely and Clinique brushes are always... Clinique, a great brand! Hope you have a nice day! And a nice November! My husband has been watching Stranger Things and it just creeps me out! Eek! Everyone is talking about it though! Amazing favorites! the food looks really delish!!! Your favorites are so cute. Great post dear. Oh, the boots are definitely a beautiful replacement! And even better they are so comfortable! I totally binged Stranger Things 2 over the weekend- it's sooo good! Watching the second season of Stranger Things is definitely on my list of things to do, and I'm loving your boots...very cute! Great October favorites!